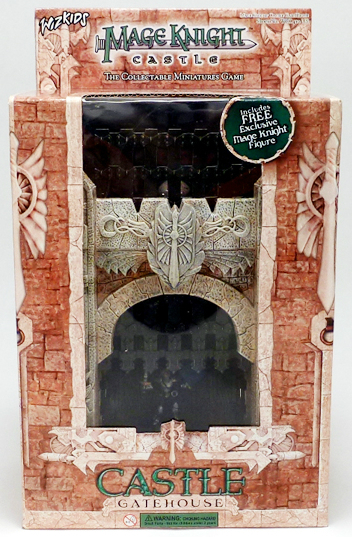 This highly detailed and fully painted gatehouse stands 7″ tall and includes a working gate and portcullis. The gatehouse is made with built in Mage Knight combat dials to keep track of damage and abilities. 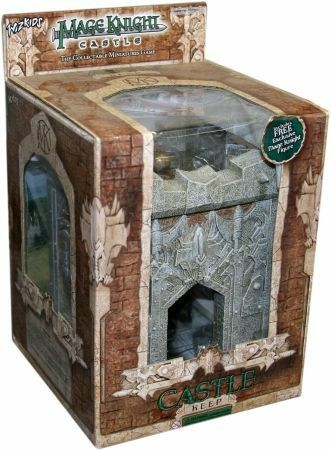 The gatehouse can be used with the rest of the Mage Knight Castle pieces to construct fantastic castles, keeps, and other fortifications. 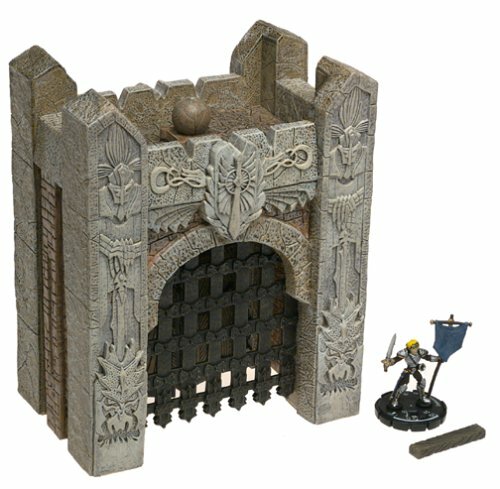 This highly detailed and fully painted Keep includes a unique Lord Maakha figure and two working doors. The Keep is perfect for any small or large-scale adventure with built in Mage Knight combat dials to keep track of damage and abilities. 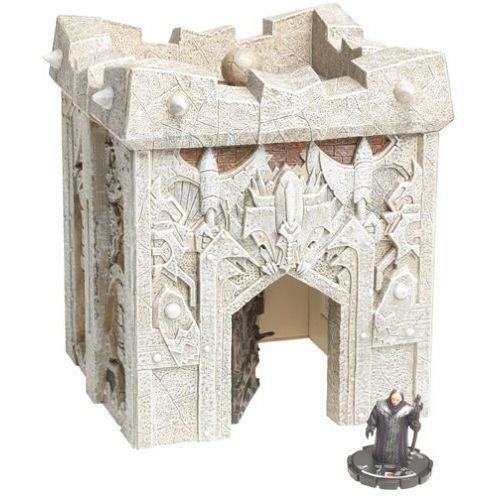 The Keep can be used with the rest of the Mage Knight Castle pieces to construct fantastic castles and other fortifications. 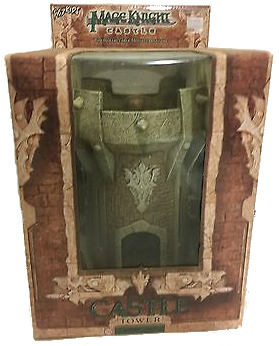 This highly detailed and fully painted Tower stands nearly 9″ tall. 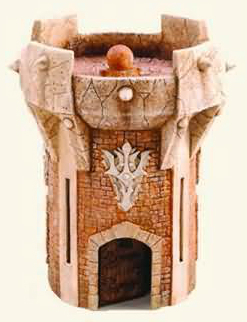 The Tower has built in Mage Knight combat dials to keep track of damage and abilities. 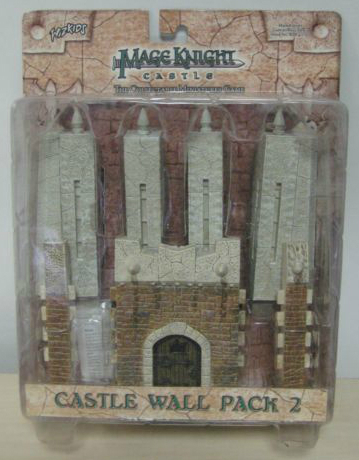 The Keep can be used with the rest of the Mage Knight Castle pieces to construct fantastic castles and other fortifications. 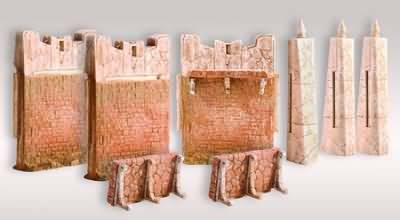 Walls, ramparts, and buttresses designed to fit the rest of the Mage Knight Castle series. 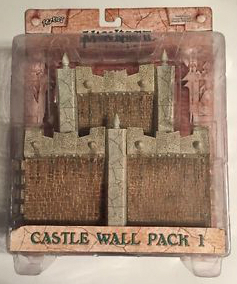 Create walls to connect the other pieces of the Castle series together or freestanding walls to surround them. All the wall pieces include built in Mage Knight combat dials so you can keep track of damage.